A year ago today she played her last game in Bosnia and we’ve unfortunately not had her with us since. We could have taken her to SheBelieves but we spoke to Reading and spoke to Jade and put her on a really good programme and tonight she showed everything that I wanted to see. She’s a great character around the place. She’s a leader, she’s a senior player that doesn’t take any prisoners, on and off the field. She doesn’t really like any of the razzmatazz of what’s happening around us at the moment, she just gets on with the job and that’s what I admire about her the most. She’s a simple player and a simple, humble person and someone that we are delighted to have back. I made the substitutions just after half time because I wanted us to suffer. I wanted to see what we were like with them charging at us. I knew the subs would break the rhythm of our team but I wanted to see how our back four would cope, how our goalkeeper would cope, how our midfield players would dig in and not just think we’re going to have the ball but because that’s what we’ve probably worked on for the past fourteen months. 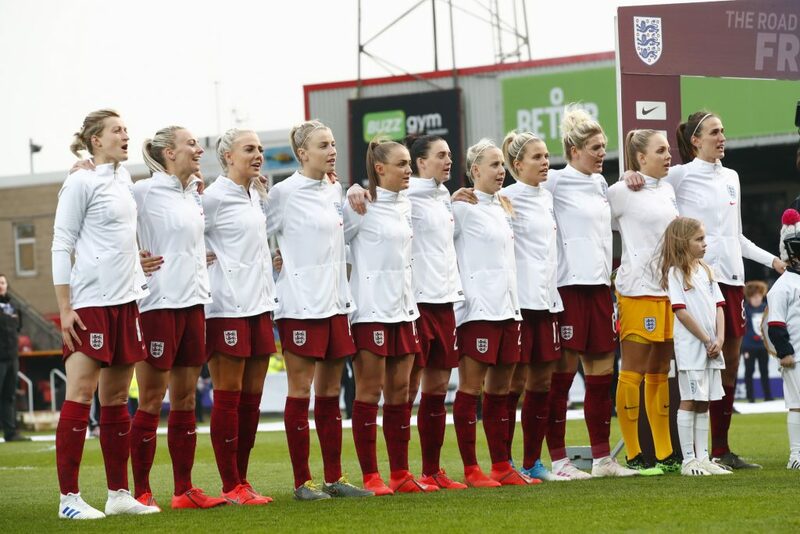 For us to do well at the World Cup there will be games were we are going to have to dig in and block shots, there was a blocked shot by Keira Walsh in the last minute and that’s the sort of thing I wanted to see, and I thought we could have done it better. The next step is to dig in but also show composure, we slashed at things too much, we just booted things clear, which I didn’t want but the scenario that we’d planned actually happened and Spain got us on the run and were playing in pockets and my players were stretched and it was quite fun watching them stretched and out of their comfort zone. So it was a really good workout that went exactly how I wanted it to. The first twelve minutes or so I don’t think we touched the ball because I think we thought we’ll just enjoy Spain passing the ball. 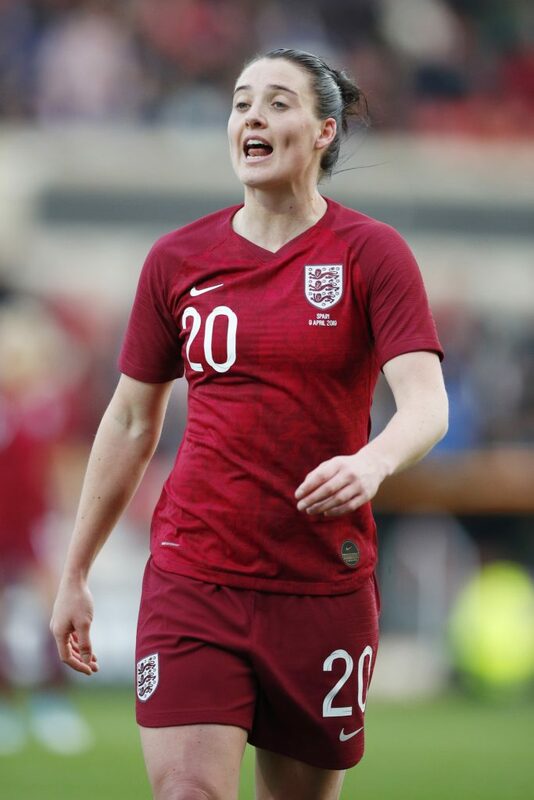 Rightly or wrongly, Jill Scott makes a tackle and gets a yellow card and then all of a sudden everyone goes on the front foot, they lost the shackles and I started to enjoy watching us play. At half-time my players came in and said, “Let’s get on the front foot.” I thought it was a 3-0,4-0 game at half-time, we came out and got the second goal but then I made the substitutions which meant it didn’t turn out like that. 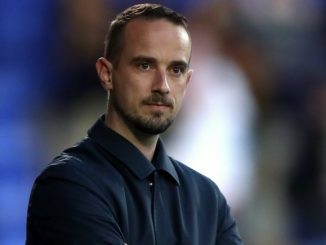 If I’d not changed the team we probably would have won at a canter because they’d [Spain] gone, they’d gone at 2-0, but the substitutions gave them a little bit of impetus and confidence and broke our rhythm and it became a boxing match where they kept punching and punching us but we didn’t go down. I thought Ellie Roebuck was brilliant and I thought Mary [Earps] was brilliant and showed her experience and didn’t panic. Ellie showed great composure. We’ve got great goalkeepers in the pathway. 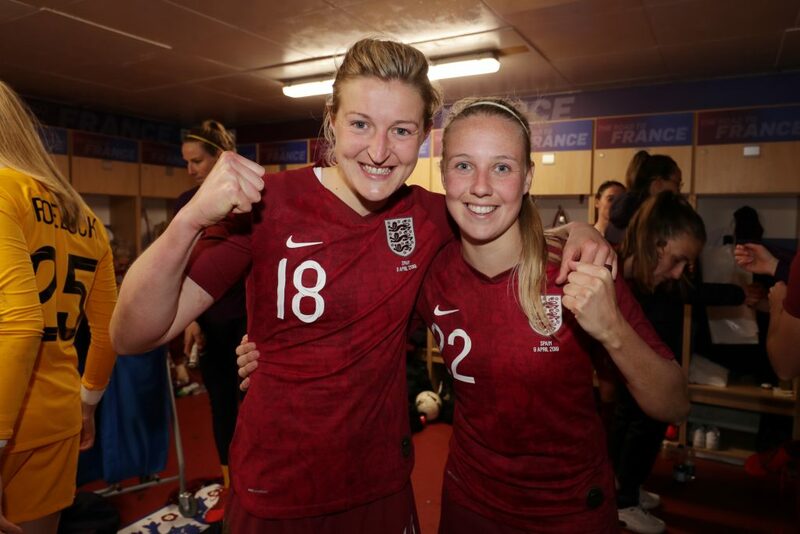 Sandy McIver and Sophie Baggaley have both played for the U21s this week. We’re actually blessed with great goalkeepers, particularly in that age group. We’ve got a problem of who to take, not of quality. I was pleased with them both. 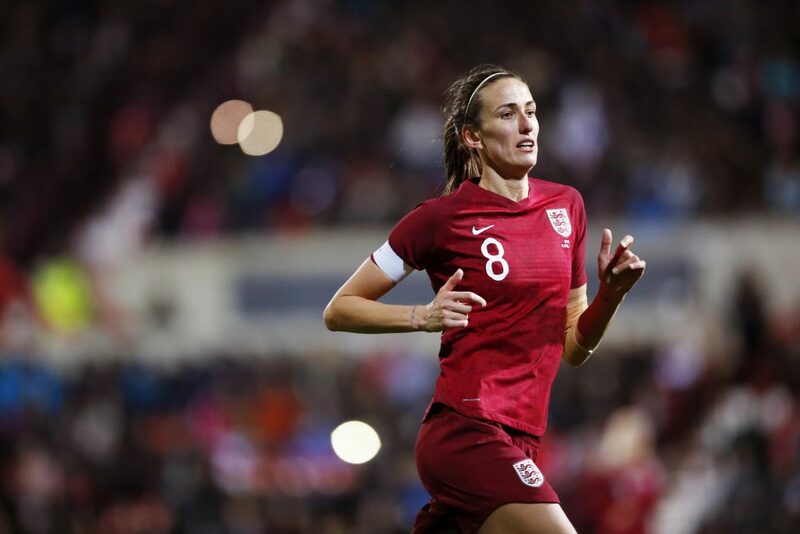 I’ve got to say and I don’t like to single players out, I thought Jill Scott was brilliant from start to finish. In training yesterday she was sensational. It’s the first time she’s ever captained the team today, and that’s with 134 caps. We made a presentation to her before the game because Jill’s the type of person that you can take for granted. She comes in, she bounces around, she keeps everyone happy, she goes for coffee and comes back with 20 coffees for everyone and people just think ‘Jill’s ok’. 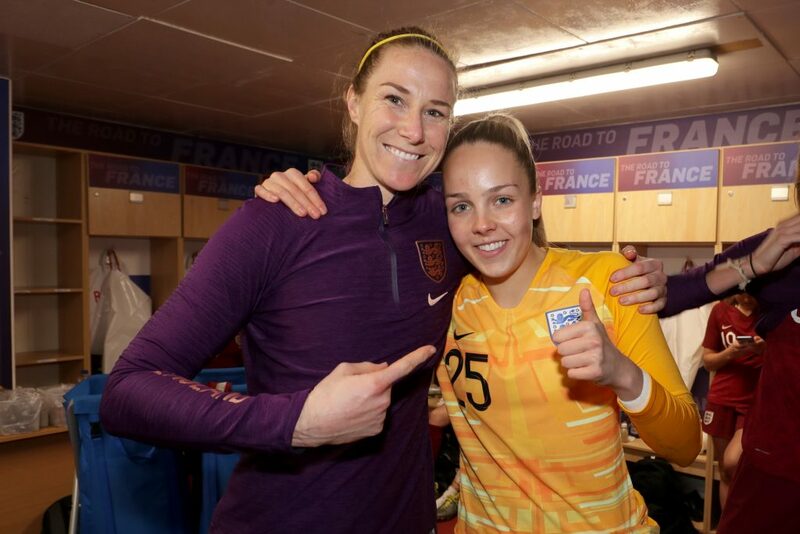 Over the past fourteen months I’ve not probably given her enough credit because I just think ‘Jill’s going to be there, she never lets us down’ and tonight giving her the captaincy and presenting it in front of all of the girls was a special moment for her. She has 134 caps and she still enjoys every moment of football and she’s vital to us. 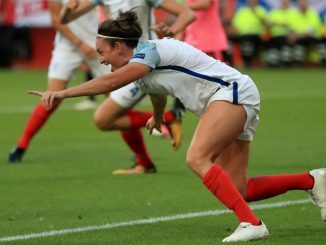 I wanted the team to play well and Beth [Mead] did. Beth’s turned a bit of a corner in terms of the consistency in her play. 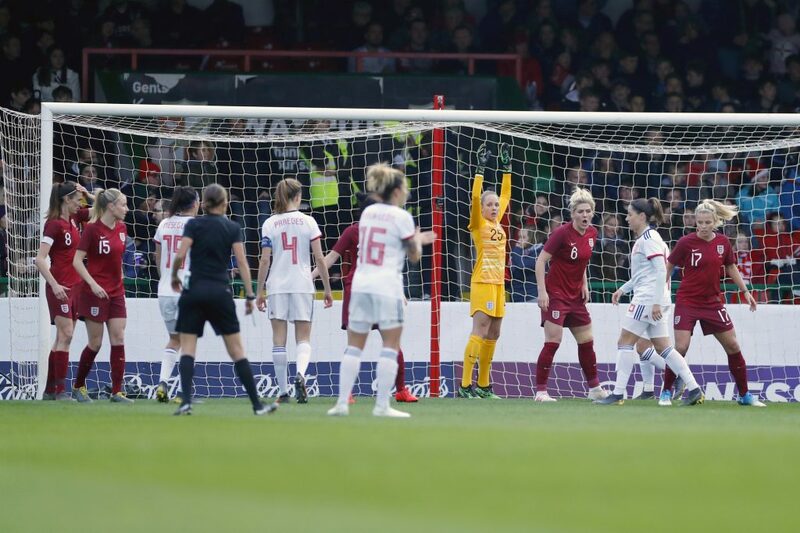 The SheBelieves was a good one, the two goals there. She’s the nicest, sweetest girl and she scored the goal against Brazil and then the game after, I got her in and told her she wasn’t playing against USA and the look she gave me, she could have killed me! It’s the first time that she’s ever got angry. 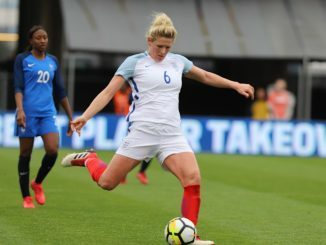 At that moment she turned a corner from being nice Beth Mead to hungry Beth Mead and what we’re seeing now for Arsenal and for England is someone that is challenging to be a starter and producing moments, producing goals, she’s a goal threat. Brazil, Japan, today, that’s three in five games. That, for a winger, is brilliant. It’s going to be difficult. You know it, I know it, it’s going to be difficult. I know how I’m going to do it and I know when I’m going to do it but I just don’t know who it is going to be and that is testament to them. We didn’t really review the game in the dressing room after, what I did review was the last fourteen months with them. From that first SheBelieves and standing on that touchline thinking, what’s going to happen here. I didn’t know, to be honest. You set a team up to play a certain style but you don’t know how they’re going to adapt and I thanked them for what they’ve done in the last fourteen months and their efforts. I think the pleasing thing for me as a coach is I’ve stuck to what I believe in and given everyone an opportunity. Tonight wasn’t a trial, at all. Players didn’t book themselves on the plane or take themselves off the plane. Every single one of them has made an impact along the way and telling the few players in this squad and the four or five players outside of the squad that they’re not going to be in… it’s happened to me three times. 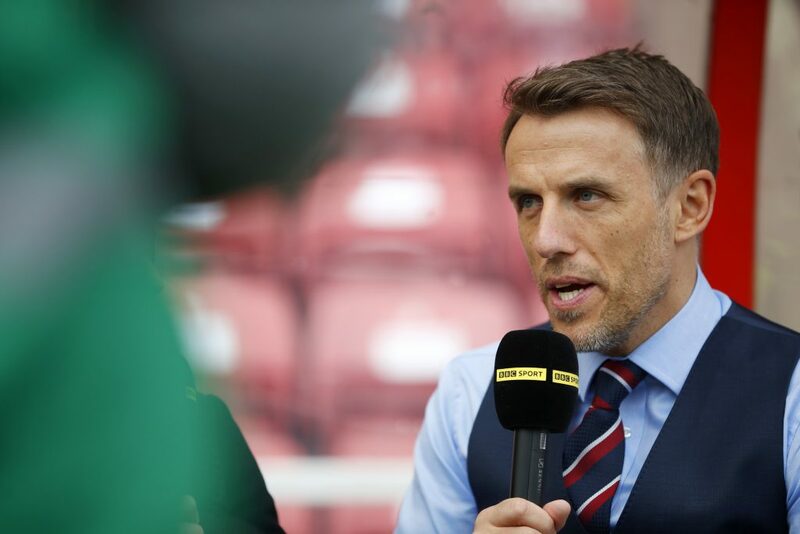 So, I’m probably the best person on the world to experience it, to understand how you do it and we’ve spoken to the players about how we’re going to do it and how it will happen. Ultimately, now is the time for me to be ruthless and take the best players on that plane. They’ve got four weeks now to keep fit, to keep in form and keep charging forward because the train doesn’t stop now. I said to them, go back to your clubs and when you are used to doing ten reps I want you to be doing 14 reps because even though it’s April and the clocks have gone forward, it’s not time to put your flip flops on, it’s time to charge forward.